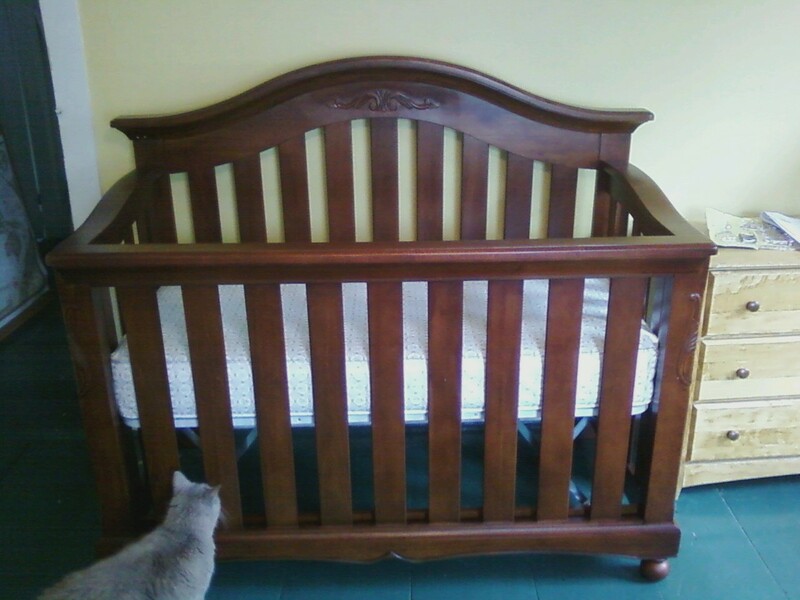 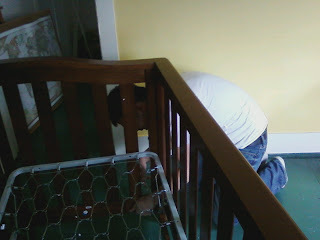 Derek put the crib together today. :) Look how pretty it is! Betty checking out Derek's handy work.